Like a nutmeg-scented blob assimilating the grocery store aisle by aisle, Pumpkin Spice has infiltrated our soap, our booze and even our breakfast cereals. When it was done with the humans, it came for the canines, oozing out of the grocery store and into the pet food shops. Dog cookies, dog cologne and even dog water bowl additives got the Pumpkin Spice treatment. Sales of Pumpkin Spice everything show humankind is happy to keep bowing to our orange overlord, but our dogs might not be as excited as we are for the return of the season formerly known as autumn (now known, of course, as Pumpkin Spice time). Here’s 10 signs your dog is so over Pumpkin Spice. Your dog might smell like your favorite Yankee Candle when you pick him up from the groomer, but if he’s rolling in eau du garbage as soon as your back is turned, he probably doesn’t consider PSL his signature scent. As the leaves turn, decor pumpkins dot our lawns, becoming as ubiquitous as the lattes they’ve inspired. If your pooch pees on every porch pumpkin he sees, he may be trying to tell you how he feels about your preoccupation with everything pumpkin spice. How exactly did this profusion of pumpkin spice-flavored dog treats happen? Did a chef in a canine test kitchen spill her coffee into the biscuit batch, or was it simply a stroke of marketing genius? Either way, if your dog doesn’t dash into your kitchen when he hears a treat bag open, he’s likely not as fond of the latte flavor as you are. The sugary and caffeinated Starbucks PSL is a no-no for dogs, but now humans can buy dog-safe Pumpkin Spice Latte mix to whip up at home. If your pooch isn’t impressed by you playing barista, take the hint: You’ve reached peak PSL and he’s over it. Dogs are not known for being particularly picky eaters, so if your canine companion is suddenly not into the popular poop perfector that is pureed pumpkin, he’s probably over your propensity for squash-themed products. Because even dogs know these fall staples are the required footwear of PSL devotees. Can’t go to Starbucks if you’re not wearing the uniform, can you human? From the moment you pulled a pair of new, chew-free Uggs out of the box, your pup knew what was coming: A walk to the ‘bucks. Don’t be surprised if your pooch starts doing some pulling of his own as soon as he smells the PSL in the air. Because sometimes a dog just has to take matters into his own paws. If this happens to you, recognize it for what it is: Your pup’s attempt at a pumpkin spice intervention. You managed to get your signature drink without your card, but your pup is not having it. If you’re on your hands and knees blotting whipped cream and orange coffee out of the carpet, take a second to reflect on what got you there. Maybe your dog is right. It might be time to rethink your devotion to Pumpkin Spice. Heather Marcoux is a freelance writer and dog mom to Marshmallow and GhostBuster (half of the @ghostpets on Instagram). Like many basic ladies in their thirties, Heather loves Starbucks and all things Pumpkin Spice. Marshmallow, too, loves her some autumn squash, but GhostBuster is tragically allergic. You can find Heather at her local Starbucks and on Twitter, @HeatherMarcoux. 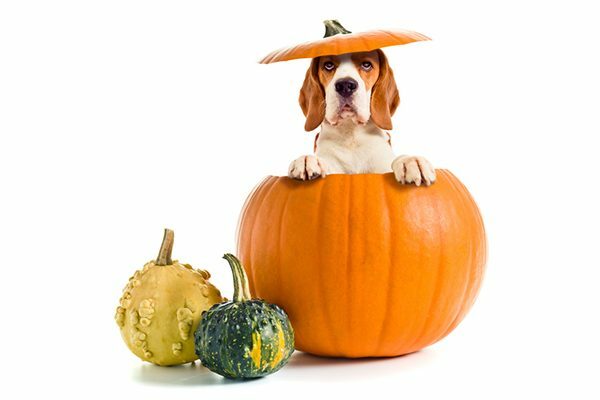 The post 10 Signs Your Dog is So Over Pumpkin Spice appeared first on Dogster.